At first glance, sea urchins and sand dollars seem like vastly different animals who don't have much in common other than the fact that they're both sea creatures. However, did you know that they're actually one and the same? The sand dollar is a type of sea urchin that appears quite different from it's rounder, spinier cousin, but sea urchins and living sand dollars have more in common than you might realize. Echinoderms are a group of sea-dwelling invertebrate species characterized by tube-like feet, spiny skin, and radially symmetrical bodies. In addition to sand dollars and sea urchins, echinoderms also include star fish and sea cucumbers. Sand dollars and sea urchins belong to a specialized subgroup called echinoids, set apart by their rigid skeletons made up of interlocking plates, also known as tests. By contrast, other echinoderms, such as sea cucumbers, have more flexible skeletons. Echinoids also have round jaws with five sharp teeth arranged in a star-like pattern, known as Aristotle's Lantern, which they use to grind up food and sand. Although sea urchins actually include sand dollars, what most people think of as sea urchins are round animals with long, thin spines that live along rocky seashores. This type of sea urchin belongs to a subgroup known as regular echinoids, which includes the species Cidaroida, or pencil urchins, and Echinoida, the long-spined creatures that people typically think of when they think of sea urchins. Regular echinoids are characterized by nearly perfect five-part symmetry and round bodies. Sand dollars and sea biscuits, also known by their species name Clypeasteroida, belong to a subgroup called irregular echinoids, which have an altered symmetry that includes the flattened shape of the sand dollar. 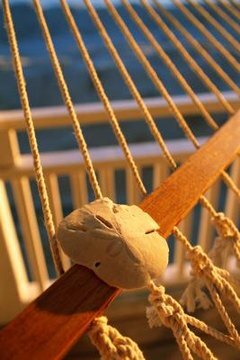 What most people identify as the sand dollar actually is the skeleton of a deceased animal. While living, sand dollars and sea biscuits are covered with spiny skin and have tubular feet, although their spines are much smaller and harder to see than those of a more typical sea urchin. The eggs of the sea urchin, also known as roe, is a popular item on sushi menus, and as such, some sea urchin species are a big target for commercial fishing. Echinoids also are studied extensively by the scientific community, and studies of their larval development have contributed to discovers in developmental biology. Also, of course, the deceased remains of sand dollars and sea biscuits are a popular item in souvenir shops and ocean-themed home decor.